Whenever I camp for a while in a place as remote as Skraeling Island, I notice again the sensations of isolation. Logic tells you that all other humans except those in your party are far away. 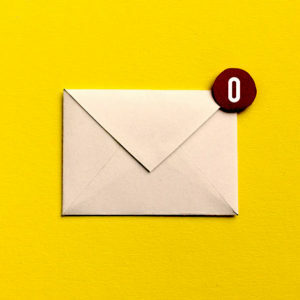 Most everything one associates with ordinary life—the noise of machinery like automobiles and leaf blowers, the anemic color of artificial lighting, the beckoning of electronic alarms, the sight and odor of waste, the monotony of queues, confinement in small work spaces—is far off. On some days the only sounds I heard between breakfast and supper were the voices of birds and the sharp explosions—like pistol shots—of stranded sheets of sea ice fracturing along the shore as the tide went out. The whine of insects. The snort and harrumph of walruses. The ping and click of rain on my parka hood. Sometimes silence so filled the air here I thought I could hear it—that it, too, had timbre and pitch. As I approached a site where my companions were at work, the clank of a steel trowel against a cobble and the murmur of voices became audible. The purl of sandy soil being poured through a sorting screen and falling into a plastic bin. These sounds, tiny pebbles in the great basin of indigenous silence, led me to appreciate the way one century nestled within another here, the verticality of time in this place. I remember studying a sequence of 39 drawings as a boy. They were included in a book called Cosmic View by a Dutch educator named Kees Boeke. In the first drawing, a girl, perhaps ten years old, wearing a long patterned skirt and a dark sweater, is sitting outdoors on a collapsible lawn chair. The view we have of her is from above and slightly oblique. She is holding a large white cat in her lap and seems bemused. In the next drawing, the scale of representation has increased, from 1:10 to 1:100. We see she is sitting next to a couple of parked cars and alongside part of a baleen whale, lying on its right side. The third drawing, at a scale of 1:1,000, reveals that she’s sitting with these things in a courtyard at a school. The 23 drawings that follow this one carry us to increasingly greater heights above the girl and her cat, until, at a scale of 1:1026, the view of her is so intergalactic it seems to be located in the realm of fantasy. The 27th in Boeke’s sequence of 39 returns us to the girl and her cat at the scale of 1:10. From here we begin a journey in the other direction. First, at a scale of 1:1, we see a mosquito on the web of skin between her right thumb and forefinger. In the 13th and final image, at a scale of 1:10-13, we’re inside a sodium atom, within a salt crystal on the girl’s skin. This simple exercise in scaling returns to me often. The images suggest tremendous depth and breadth in worlds one or more off from a world scaled to humans—a wasp’s sense of the extent of the Alexandra lowland, say, or a view of Skraeling from a plane flying overhead en route to Moscow from Seattle, as contrasted with my view of a king eider nesting in a hearth box here. But Boeke’s drawings encourage more than just thoughts about scale and point of view. They stimulate, at least for me, thoughts about the difference between my universe and that of the Thule. My umwelt and theirs, or mine and the umwelt of the wasp. The text Boeke wrote to accompany the drawings is a treatise on barriers and limitations, which points, for me, to a certain conclusion. When a boundary in the known world—say, a geographical one for Thule people migrating eastward from Alaska, moving farther into an inhospitable world than anyone had ever gone—becomes instead a beckoning horizon, the leading edge of a farther destination, then a world one has never known becomes an integral part of one’s new universe. Memory and imagination come into play. The unknown future calls out to the present and to the remembered past, and in that moment of expansion, the imagined future seems attainable. How many other such severely wounded birds are there in the world, still hunting? In the autumn of 2008, the English artist Richard Long walked from Carnac, in Brittany, to the particle physics laboratory at CERN, outside Geneva, a distance of 603 miles. Carnac is the site of several thousand stone monuments erected in the last centuries of Europe’s Neolithic period, most of them tall upright stones called menhirs. Long’s walk, titled Megalithic to Subatomic, traces a journey similar to the one Boeke takes us on. Like much art of the past 60 years, as painting and sculpture moved out of the studio, Long’s walk offers us a perspective on human existence prompted by questions that arose after Hiroshima and Nagasaki and the widespread deployment of nuclear weapons, questions mostly about the likelihood of human survival. The growing depletion of the world’s natural resources, the desperation behind human diasporas, and the largely unaddressed problem of global climate change have propelled much of modern art even further out of the studio. The accumulation of such threats to human survival suggests the existence of an apocalyptic barrier where once, not so long ago, our way ahead looked almost clear. Our question now is, What lies beyond that barrier? Or more important, what is calling to us from beyond that barrier? We already know what is pushing us into the future. Some contemporary art, art that is not about itself or about the artist, offers perspectives that conceivably could release us from the daily tyranny of depressing news, from the meretriciousness of decisions that commit us to the inevitability of environmental catastrophe. All great art tends to draw us out of ourselves. Through the imagination and skill of the artist, it reintroduces us to our surroundings, revitalizing them and revealing interstices there, potential points of entry for our imaginations. The Thule—as much as the archaeologists Peter Schledermann, Karen McCullough and Eric Damkjar—are my constant companions here. When I recall a story I read months before in Nature, speculating about the Sixth Extinction, or a report that appeared in JAMA: The Journal of the American Medical Association, about rising cancer rates in first-world countries, I think about the indomitable, resourceful Thule. In the austral fall of 1987 I was traveling through Namibia with a few people. We slept in the desert, here and there as we went along. We came south to Kalahari Gemsbok National Park (now Kgalagadi Transfrontier Park) in South Africa. One morning there I spotted a pale chanting goshawk in the top of a dead tree. This particular accipiter hunts other birds, as well as reptiles and small mammals. Like all avian predators of its type, the goshawk’s hunting success depends on depth perception. The bird had its back to me as I approached. I imagined it gazing intensely at an expanse of savannah grass before it, searching for a creature upon which to swoop. As I drew closer, the bird rotated its head and stared down at me. Its right eye had been torn out of its socket. The hole was rimmed with blood-matted feathers. It turned back to its survey of the savannah, ignoring me. Often, when I want to give up, I think of that bird. How many other such severely wounded birds are there in the world, still hunting? On another occasion, while working with a small field party a few miles from the South Pole—we were gathering samples from a snow pit to further document global climate change—I was given a tour of a scientific project under way at Amundsen-Scott South Pole Station, a research facility and planetary monitoring station established by the United States in 1957. This particular project was designed to locate sources of high-energy cosmic rays, and was part of an ongoing search for dark matter and dark energy in the universe. Astrophysicists theorize that dark matter and dark energy, difficult to detect directly, constitute as much as 95 percent of the mass of the universe; and they believe their presence can be inferred from data being collected by the Antarctic Muon and Neutrino Detector Array (AMANDA) at the South Pole. Most astrophysicists believe that our own and other galaxies are bathed in dark energy. The galaxies we see, then, are like tiny fish suspended in a vast ocean of unlit water. The AMANDA detection device consists of a massive grid of phototubes buried hundreds of feet deep in the polar ice cap, all of them pointed toward the center of Earth. The tubes register the presence of muons, high-energy subatomic particles that have entered the opposite end of Earth (the North Pole) as neutrinos. In an experimental environment that is otherwise free of radioactivity, and dark, the muons emit a detectable particle called a Cherenkov photon. This evidence confirming the presence of muons registers on a bank of computers in a windowless room above the ice. It is design without an end. Its rubric is adaptation and change. Its imperative is adapt or die. I loved the intellectual hunger behind this AMANDA experiment, the collaboration here between experimental and theoretical physicists, especially since I had encountered it (by accident) at a remote outpost like the South Pole. What else was humanity straining to know in that same moment? Were research scientists elsewhere bearing down hard to understand how the biological fate of Homo sapiens will be affected by the extinction in some places of upwards of 60 percent of the populations of flying insects, including pollinators? The desire to know more, to fashion ever more sophisticated systems of detection and measurement, is a desire not merely to know but to be prepared for the unknown. It is a quest, therefore, without an end. The half-blind goshawk and the recordings of the AMANDA probes came back to me at the Thule sites because here, too, on a different scale, were signs of change as the Thule drove out, absorbed, or perhaps never even encountered the Late Dorset. Evidence of the continuously unfolding universe, in a setting where it’s emphatically clear that nature, the larger category that includes human nature and human history, is not static. It is design without an end. Its rubric is adaptation and change. Its imperative is adapt or die. Our own imperative as modern social primates might be something else. Cooperate with one another or die. Once the world quietens for hours on end, as it does here on the tundra, I find anxious questions about what kind of future humanity will make for itself as insistent as a thunderclap. One day I was working alongside Peter, inside the perimeter of a Late Dorset dwelling. “Probably used only briefly,” he said of the place as he turned over the gravel we were kneeling on stone by stone with a small trowel. Here were two men, trying to tease out a few pieces of the puzzle of human survival, invention, and adaptability. I didn’t say anything to Peter in that moment about the question of human survival—it’s not always good for the visitor to attempt to make a point. But I felt the peculiar urgency of our particular task, to know the character and the fate of the Thule and Dorset who had gone before us. When we finished dinner that night, after I’d done the dishes and we were all having last tea, hunched in our parkas outside the cook tent, I asked Peter what he thought we were looking for on Skraeling. Is the prize here archeological scholarship, or is it something we haven’t spoken of? Nestled in the declivity in the tundra that day with the knapper’s debitage, reading about Monet and listening for walrus, I recalled the bee-buzzed hours I’d spent crossing the lowland several weeks before. In my childhood I had known the kind of euphoria I’d felt that day, when the opportunity arose for me to go outside, to leave the domestic rooms, even the rooms where the doors were left open and the open windows were large. I would one day come to understand this impulse I’d felt as a child—to depart—in other ways, depending on the nature of the situation; but what I wanted most of all back then was to pass through the walls of the house. Setting Figes’s book aside for a moment, I courted the memory of that day I’d walked on the lowland. The memory vibrated for me, like a struck tuning fork. As I engaged the memory further, my fingertips were again winding through the willow stems and again I found the chert flakes. Sifting them, I thought how few archeologists who examine flakes like these and who write about them can fashion a stone tool. What do we miss, as a mostly indoor culture, making a few short summertime forays into Earth’s remote country to inspect places where our ancestors once found a path, a way to live, but not, ourselves, possessing any of their fundamental skills? Not having cut meat with a stone, nor gone a week with only the soft edges of our skin clothing to sustain us, how well can we intuit the purpose of an arrangement of stones our ancestors made? Peter sometimes makes rhetorical observations something like this. How can indoor people understand outdoor people, with nothing but the intellect to work with, with no predisposition to inquire about or make use of what the body knows, what the foot has learned about balance, having easily crossed one terrain but having trouble with another? The four of us are all studious individuals, squatting here before an Arctic Small Tool puzzle; but you could not call our focused intensity intimacy with the Thule or the Dorset. We’re like blacksmiths, shaping bits of found scrap iron with our hammers, waiting for something we recognize to emerge. I consider telling Peter about the pale chanting goshawk. He might enjoy the indomitability of the bird, this evidence of determined Life, so evident here on Skraeling. I wonder, too, if I understand the AMANDA experiment well enough to convey my enthusiasm about this kind of research question and my high regard for science, though archeology is actually one of the humanities. I could try to convey my euphoric experience hiking in the Arctic oasis across the water from our camp, but he might find my perceptions too abstruse. 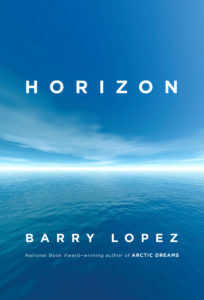 Excerpted from Horizon by Barry Lopez. Copyright © 2019 by Barry Lopez. Excerpted by permission of Alfred A. Knopf, a division of Penguin Random House.